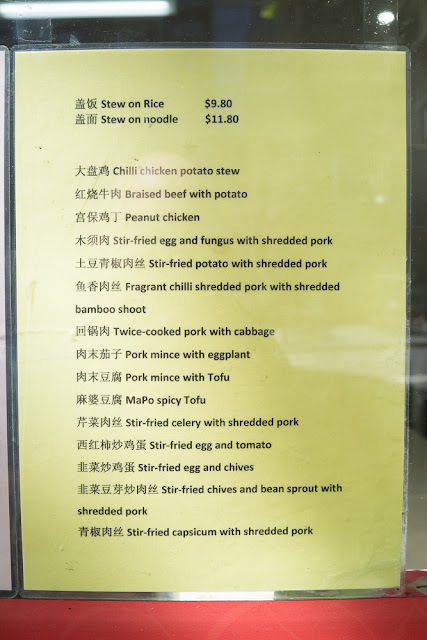 After a run of kickarse noodle soup at Chinatown's revered Noodle Pot, we tell Noodle Pot boss dude that his soups are among the best in town. Noodle Pot boss dude looks bewildered and says "but haven't you tried the restaurant around the corner? 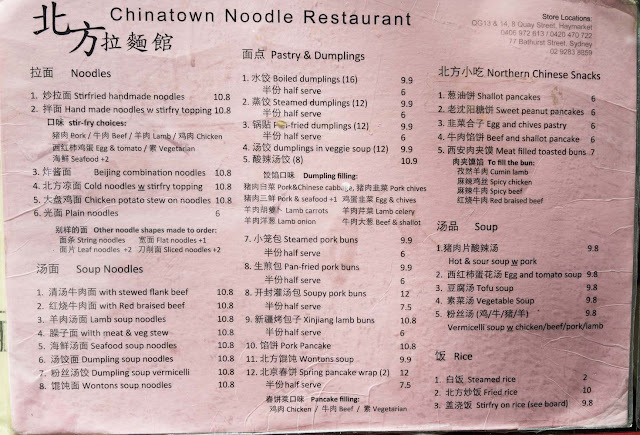 It's northern style..."
So here we are at Chinatown Noodle Restaurant. At least we think this is the place he meant. There's a two or three restaurants with the same or similar names at the Prince Centre, with revolving owners as far as we can tell. It's like somebody tried to start a franchise, but with all the outlets in the one shopping centre. 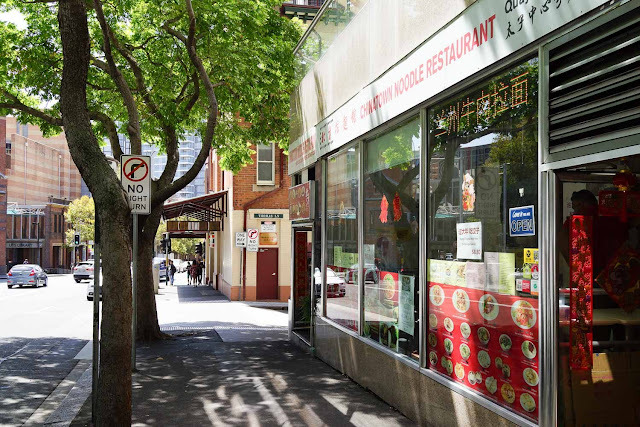 Anyhoo, we picked the Chinatown Noodle Restaurant on the Quay Street side of the Prince Centre, not the one on the corner, the one in the middle, where our beloved Daily Noodle Fast Food once reigned supreme. As much as we miss Daily Noodle Fast Food, Chinatown Noodle Restaurant does even better noodles, handmade instead of machine-made, and the atmosphere is still beautifully low rent. Lanzhou beef soup noodles - $10.80. 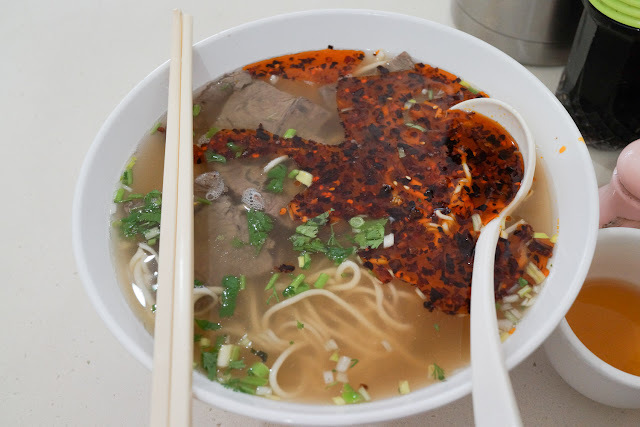 Beautiful handmade noodles - thin, soft and springy - with beef slices and a subtle clear broth that we can't quite taste under all that chili (optional) on top. We are more accustomed to a little chili oil in this style of soup, but a big sprinkle of dried chili works wonders against the beef. 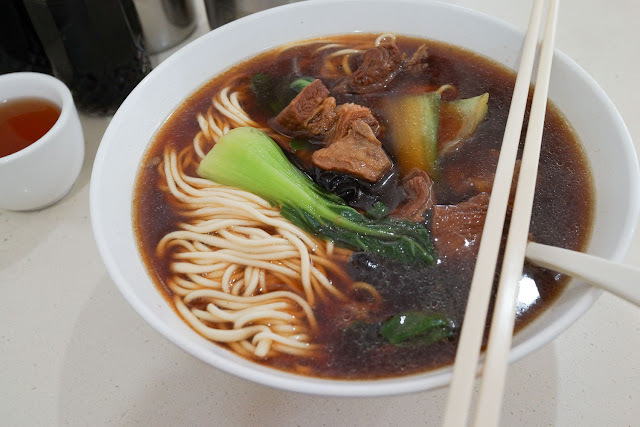 We are big fans of Lanzhou beef noodle soup and this is a beauty. Red braised beef noodle soup - $10.80. 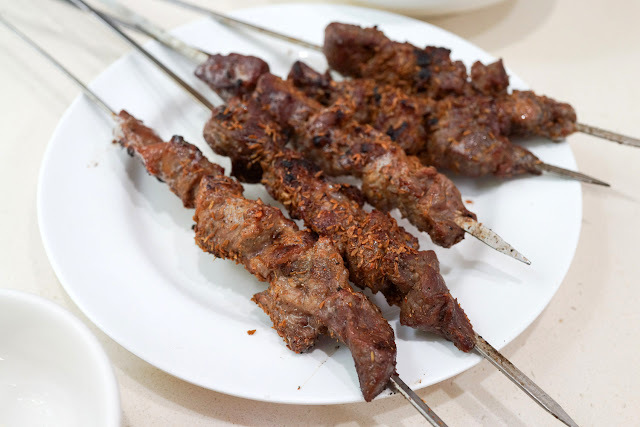 Google tells us red braised beef is cow stewed in rice wine, soy and sugar. 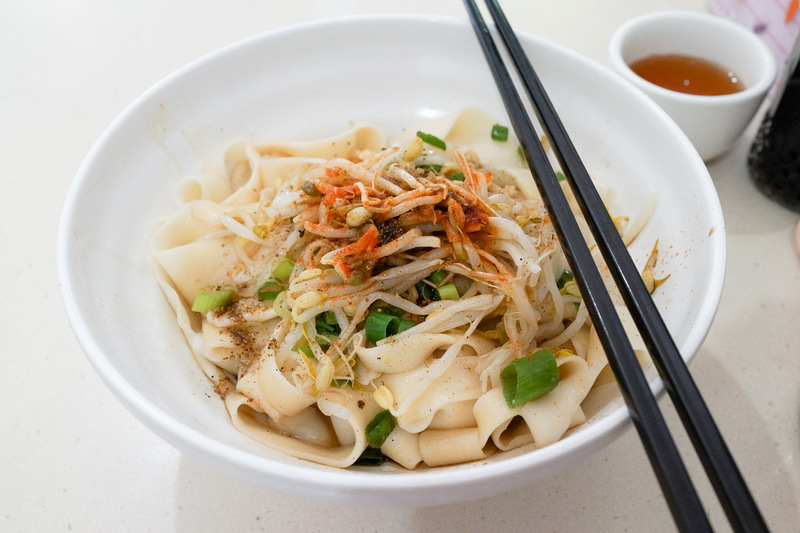 It just takes like a good beef noodle soup - way heavier than Vietnamese pho, way lighter than Taiwanese beef noodle soup - with those gorgeous soft springy handmade noodles. 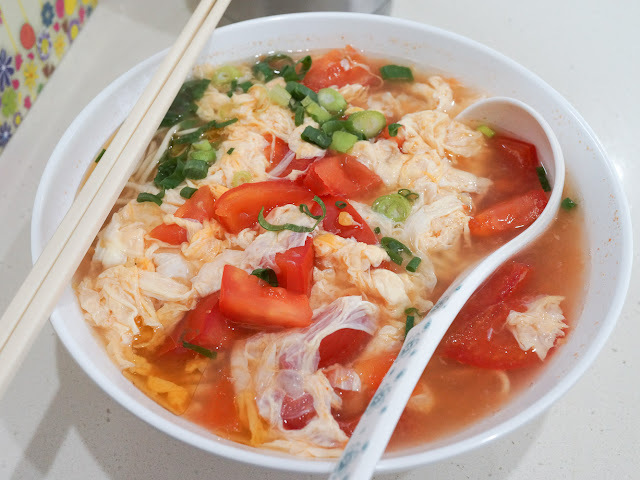 Egg and tomato noodle soup - $10.80. Same great noodles and a plain stock given a lovely gentle and heartwarming homely mostly tomato and slightly eggy flavour. A lesser chef would have added a bunch of sugar and something salty, but the masters at Chinatown Noodle Restaurant are wise to let the ingredients speak for themselves. 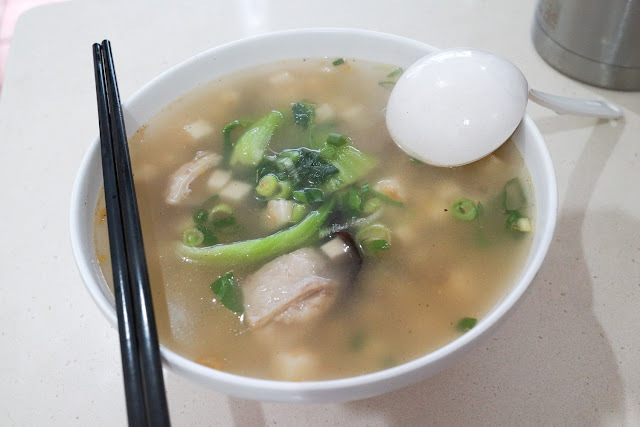 If you don't eat all the hefty serve of noodles this soup is a fairly healthy lunch. 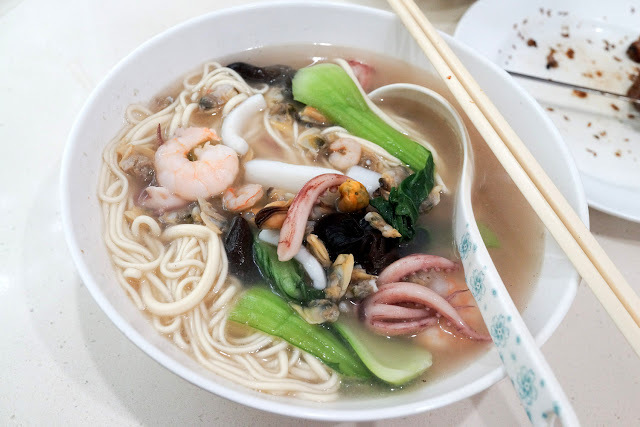 Seafood noodle soup - $11.80. Being in a northern Chinese restaurant we didn't expect this soup to be so good. It tastes like the seafoody bits - a marina mix of mussels, prawns and squid - were cooked in a plain broth, with little to zero adornment, leaving a lovely 'taste of the sea' to the broth. So simple. So good. 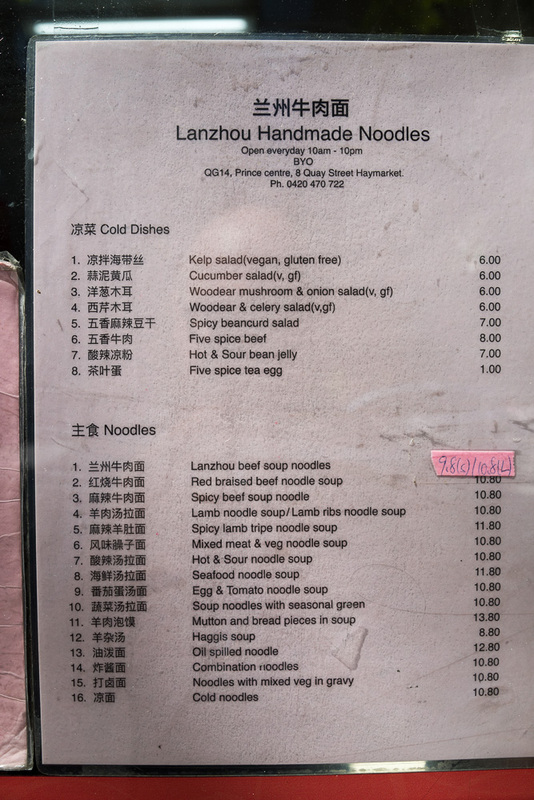 Mutton and bread pieces in soup - $13.80. We're always on the hunt for a killer pao mo, bread and lamb soup. This one doesn't have that magic viscous lamby meaty broth we so love, but it's an ok version to come out of a tiny kitchen that doesn't specialise in it, and still a dang good soup all the same. There's some lusciously fatty lumps of mutton, small cubes of chumpy diced bread, some clear flavour soaker noodles, a little veg and black mushroom. Random special on the wall - $10.80. This mystery punt turns out to be one of our favourite dishes - flat, wide chewy handmade noodles tossed in a little garlic and oil, a perfect dose of oil, carbs and umami. Lamb skewars - $12.80 for five, or thereabouts. These are the best lamb kebabs we've had in a long while, they have a nice cumin-y spice kick and the lamb is tender. We didn't expect these to be so good. 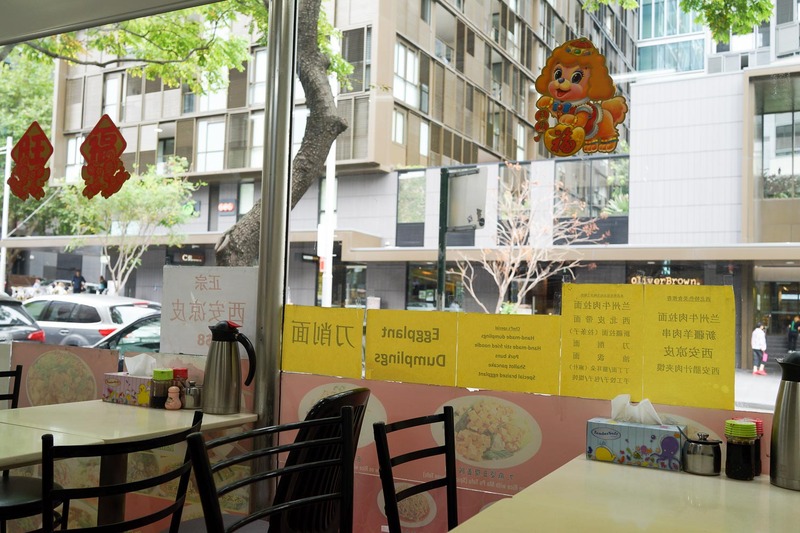 Chinatown Noodle Restaurant is the Prince Centre, 8 Quay Street, Chinatown. 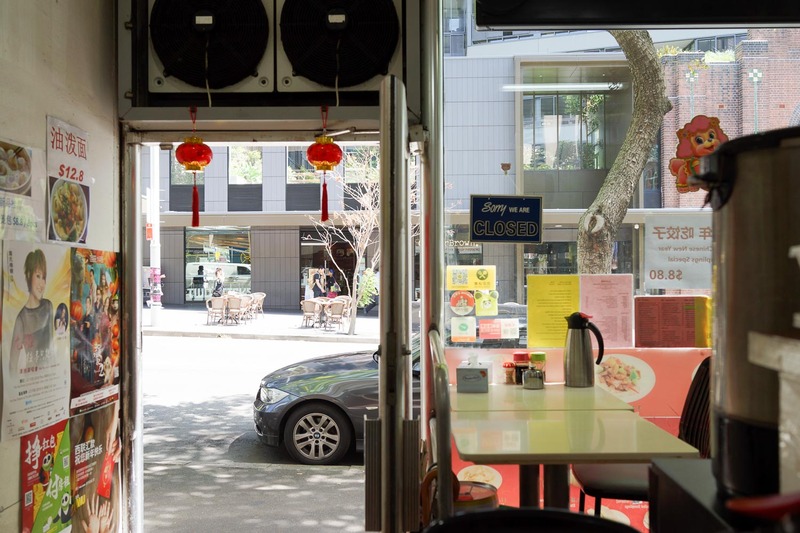 I remember the owner playing the violin in the doorway, and the lamb buns (which I always called Chinese hamburgers, with lots of Szechuan pepper)! Great place! Ha, what a fun tip. Who knows what's going on with all the different versions of the same restaurant. There's another one on Bathurst Street too. Ha, what a great tip from the owner. Who knows what's going on with all the different versions of the same restaurant. There's another on on Bathurst street too. I got takeaway from here the other day. The dude who runs this shop was smoking outside so we chatted to him while we waited. We asked what's up with all these restaurants with similar names. He said they have the same owner, but each restaurant is slightly different. He said his restaurant is best for noodles, the others for dumplings and so on. So there ya go. So maybe it was supposed to be a franchise like you said and have the same name in Chinese like "Chinese Noodle Restaurant". Except when it came to the English translation the people running each one had a slightly different idea what it should be and ran with it. Or something. You definitely go to different ones for different specialties and atmosphere, indoors or out. Every shop in the centre should change its name to Chinese Noodle Restauarant!